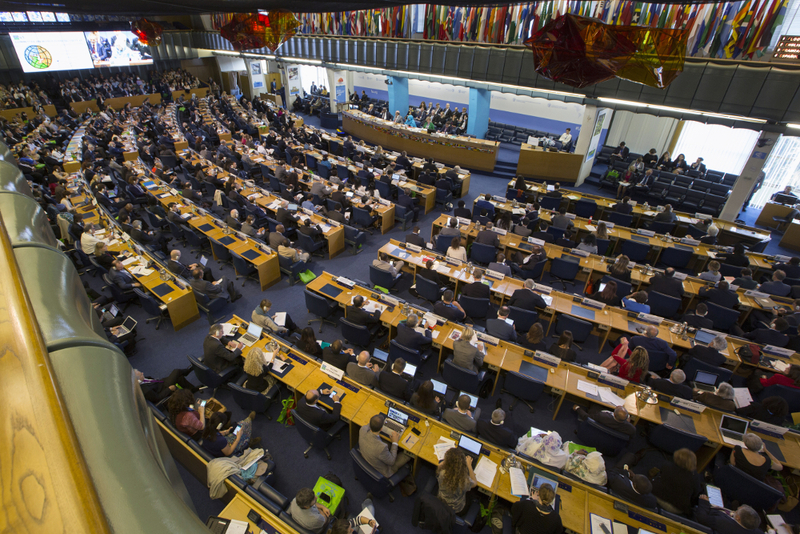 In 2009 the Committee on World Food Security, a rather sleepy forum, was substantially reformed to become the “foremost inclusive international and intergovernmental platform” in terms of food security. The reform established the CSM, which enables civil society actors to coordinate and raise their voices collectively during plenary sessions, but also throughout the year. Indeed, civil society participation within the CFS has drawn attention to the difficult conditions under which most small-scale food producers have to work, the adverse effects of the current world trade system but also the power and potentials that these small scale food producers have in feeding the world. Within the CSM, priority is given to the self-representation of those most affected by food insecurity. The Coordination Committee, as the central organizational body within the CSM, was carefully designed to represent 11 constituencies and 17 sub-regions. Among the constituencies, smallholder farmers mark the biggest group with four representatives being members of the Coordination Committee, while all other groups – among them indigenous people, pastoralists, women or NGOs – hold two seats. This setup reflects the importance of including the many different voices from around the world – which is one of the reasons why the CSM is regarded as big success. However, this carefully thought out mechanism is under threat. At the CFS Plenary 2016, a seemingly new player took the stage: The World Farmers Organization (WFO) attended the CFS with no less than 40 representatives – more than any other NGO. Interestingly, it did not register as civil society or private sector participant (the counterpart to the CSM) but as observer. Unlike participants, which have the right to make statements in the plenary, observers do not have a guarantee that they will be able to speak. Nonetheless, the WFO was given the floor by the chairperson in each session and thereby able to make comments on an equal footing with the Civil Society Mechanism and other participants. During these statements, it became clear that the WFO positions itself as the representative of farmers worldwide. Moreover, the WFO demanded that it should be recognized as another stakeholder group in addition to the private sector, civil society and other CFS participants (see for example min 1:21:00). Indeed, the World Farmers Organization had been made an ad hoc member to the Advisory Group – suggesting that they are already regarded as a new stakeholder group. At first sight, the big success of the WFO seems surprising, as the international association of 71 farmers’ organisations was only founded in 2011. However, the WFO has a predecessor: The International Federation of Agricultural Producers (IFAP), which was dissolved in 2010. The IFAP had been criticized for predominantly representing middle-class to rich farmers from the Global North. The WFO seems to have a more global base, with member organisations coming from African as well as Asian and some Latin-American countries. At the same time, nearly half of the members come from Europe. Certainly, the member organizations represent different constituencies, making it difficult to clearly characterize the association. While they themselves claim to have a focus on smallholders, others suspect that they mainly represent the interests of middle to high-income farmers. Overall, the WFO seems to be less critical of agribusiness and the current world trade system than many participants of the CSM. The rise of the WFO in the CFS is extremely worrying for most CSM members who claim to represent the interests of smallholder farmers. This is for three reasons: First, the logic of the 11 constituencies being organized through the CSM is threatened. Why should farmers have their own representation outside the CSM while fisherfolks, landless people or consumers do not? Second, the influence of the CSM would diminish substantially if it can no longer argue convincingly that it is the sole and united voice of the food producers. Governments could simply choose to cooperate with the WFO, which seems far less critical than a lot of CSM participants. Third, an ongoing legitimation fight between the WFO and the CSM could overshadow and substantially weaken thematic work. In essence, the acceptance of the WFO as representative of farmers’ interests puts into question the whole setup of the reformed CFS – especially the Civil Society Mechanism. The legitimizing rhetoric used by the WFO clearly resembles the one used by the CSM. 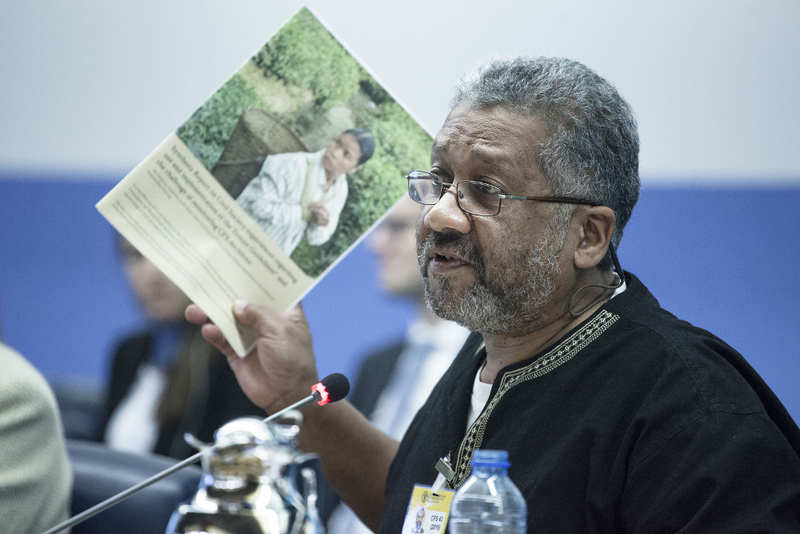 After stressing their global base, the WFO speakers during the CFS plenary usually introduced him or herself by stating “I am a farmer from…“. This corresponds to the wording used by the CSM, whose speakers similarly point out their vocation or identity. Interestingly, the Private Sector Mechanism uses this line in a similar vein. However, it is clear that the Private Sector Mechanism represents the interests of big corporations and agribusiness, whereas the role of the WFO remains unclear. The acknowledgement “I am a farmer…” has a legitimizing function but in the end hides more than it reveals. The “farmer” can, on the one hand, be a boss of a farming company with thousands of hectares of land, industrialized processes and employed workers. On the other hand, a “farmer” can refer to a person, who relies only on its own labor and a small plot of land, mainly used for subsistence farming. Both “ideal”-type “farmers” are positioned very differently in regards to their own food security, but also when it comes to access to technology, credits, or markets. Critical agrarian studies have a long tradition in analyzing these differences and their class dynamics. Applying this view to the CFS, the question is essentially not who the real farmer is, but rather where the represented farmers are located in the globalized world market with its inherent power relations. 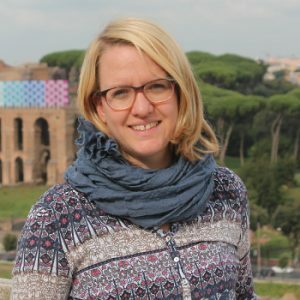 Annette Schramm is a doctoral researcher at the Collaborative Research Center 923 “Threatend Orders” at the University of Tübingen. In her research she focuses on large-scale land acquisitions in post-conflict countries and the mobilisation around them, from the local to the global level.